At Animal Care Clinic, our veterinarians perform routine surgeries, such as spays, neuters, and minor mass removals, on a daily basis. We also perform more advanced surgical procedures such as Tightrope CCL repair surgery. We are excited to offer an expanding menu of laparoscopic procedures as well, including laparoscopic ovarioectomy (removal of ovaries), cryptorchidectomy, cystotomy (bladder stone removal), and exploratory surgery. Prior to your pet’s scheduled procedure, we complete a comprehensive exam and blood chemistry panel to physically examine all aspects of your pet’s health – from the tip of their nose to the tip of their tail. This is necessary to make sure your pet is healthy prior to anesthesia. The blood chemistry panel allows us to verify kidney and liver health, and to check for diabetes and electrolyte imbalances which can affect the outcome of anesthesia. A Complete Blood Count (CBC) is included to check for anemia, inflammation, or infection. These conditions can also affect the anesthetic procedure. If abnormalities are present, we will work to bring your pet back to health prior to anesthesia, or adjust their anesthetic plan accordingly. We are very aggressive about pain control at Animal Care Clinic. We always administer pain control medication prior to surgery and during surgery. We also dispense medications for pain management at home. We routinely use nerve blocks over the surgical site so your pet does not feel post surgical pain from the incisions. It has been shown that pain relief facilitates recovery and healing, reducing infection and surgical complication and minimizing stress to the body. As your pet’s greatest advocate you should insist on complete pain control anywhere you go for veterinary care. Intravenous (IV) catheters are required on all of our surgical patients – with the exception of cat neuters. An IV catheter allows us to administer injectable anesthetic drug, provides a port for emergency drugs if needed, and is used throughout surgery for fluid therapy. The benefits of fluid therapy include: maintenance of healthy blood pressure, support of healthy organ function, and smoother anesthetic recovery. Sevoflurane is the type of inhalant anesthetic used at Animal Care Clinic. We believe it to be the safest inhalant anesthesia currently available and is commonly used in human pediatrics. Animals typically recover quickly from Sevoflurane and there are fewer side effects than with other anesthetics. We intubate all pets with an endotracheal tube in order to control your pet’s airway to deliver the inhalant anesthesia. More information on anesthesia can be found in Anesthesia and Monitoring. A warm water bed cushions your pet while they are lying on a padded surgical table under anesthesia. The padding and the warm water bed help reduce trauma to the pet when it is lying still for an extended length of time and helps prevent hypothermia (low body temperature). Hypothermia affects the metabolism which slows recovery and increases the odds of infection and complications. More information on the steps we take to prevent intraoperative hypothermia can be found in Anesthesia and Monitoring. There are several ways to monitor your pet under anesthesia to make sure it is doing well. Not all of these parameters are routinely monitored in all veterinary practices. During the entire procedure, both a veterinary technician and a state of the art monitor are closely tracking the vitals of your pet. 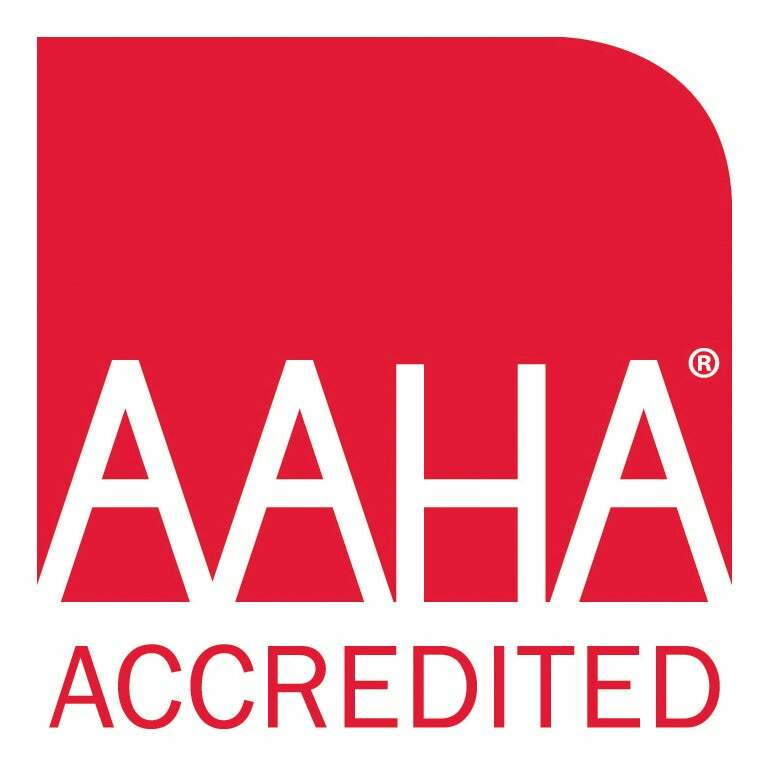 We are the only American Animal Hospital Association (AAHA) certified veterinary hospital in the Wilsonville area and as such we are required to adhere to high standards for our surgical suite. Our equipment and procedures are routinely evaluated to ensure that we are providing the most current and optimal surgical care for all pets. All surgeons wear a surgical cap, mask, shoe covers, sterile gown and sterile gloves. We use a newly sterilized surgical instrument pack for each pet and use high quality suture material for all procedures. At ACC, we take pride in our surgical offerings. When comparing prices on surgical procedures, such as spays and neuters, make sure you that you are comparing apples to apples. Pre-surgical bloodwork, pain control, IV fluid therapy, and take home pain medication are often considered “extras” and may not be included in the quoted price of the surgery. As your pet’s best advocate – always insist on comprehensive, quality medical care. "Our dog isn't a fan of meeting new people & can be quite a pain, but he definitely took to the staff here right away! They took their time & spoke kindly to him which helped make him comfortable. They always have treats available too which our dog will readily take! They are very knowledgeable, and the prices are very reasonable. Never have to wait long in the waiting room & getting an appointment is very easy. Dr. Debbie is very kind & friendly to both animals & their owners :) We'll be back!"